For this months Recipe Redux challenge I chose to whip up a new recipe, as it finally gave me a chance to recreate a chicken salad recipe I’ve been wanting to do for some time now. One of my favorite lunch spots here in Charlotte is a local place called Mayobird that serves around 15 different types of chicken salad. One of mine and my husbands favorite flavor is the Buffalo, made with buffalo wing sauce. 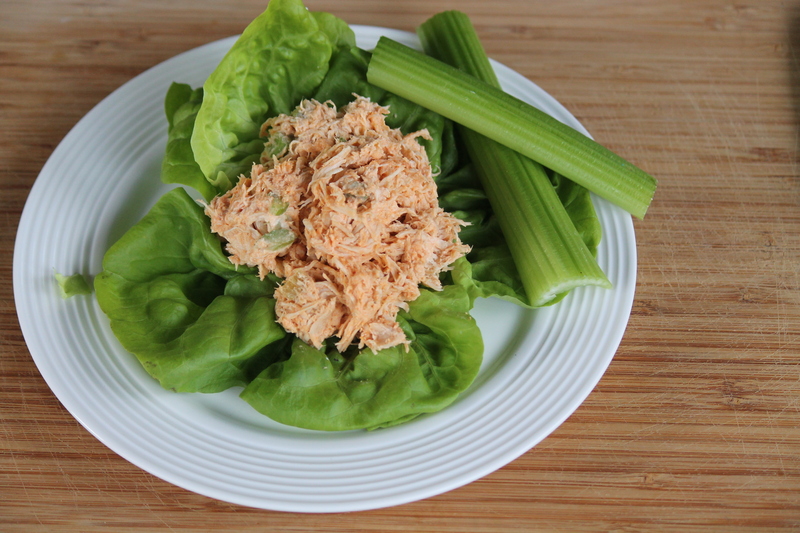 After planning out this months redux challenge I knew this Crock-Pot Shredded buffalo chicken would make the perfect base for my chicken salad. This Crock-Pot Shredded Buffalo Chicken is so simple to put together and it makes enough food for two different meal options, possibly more depending on the size of your family. All it takes is five minutes of prep work and a couple of hours in the crock pot for this goodness to come about. Remove chicken from pot, reserving ½ cup of the broth and discard the rest. Shred the chicken (using two forks is easiest). 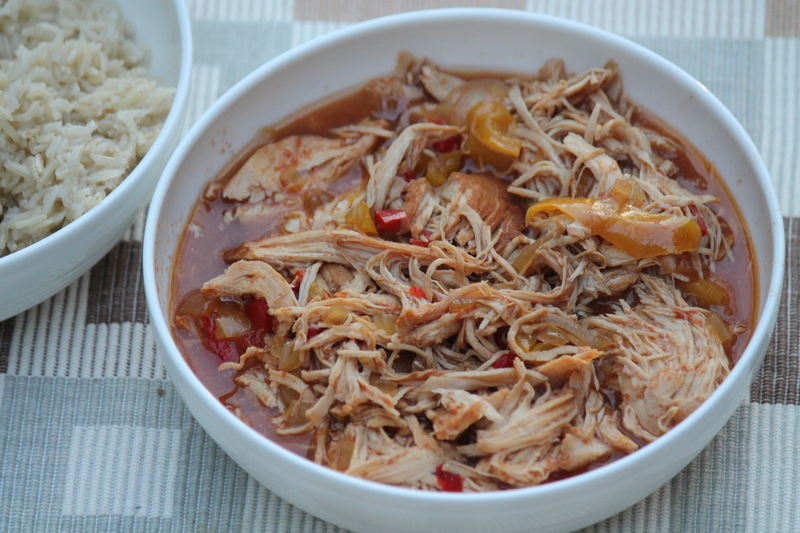 Place chicken back into the crock pot with ½ cup of broth and the hot sauce. Turn heat down to low and cook an additional 30 minutes to an hour. Since I’ve already started telling you about the chicken salad being the inspiration for the buffalo shredded chicken I will give you that meal idea and recipe first. 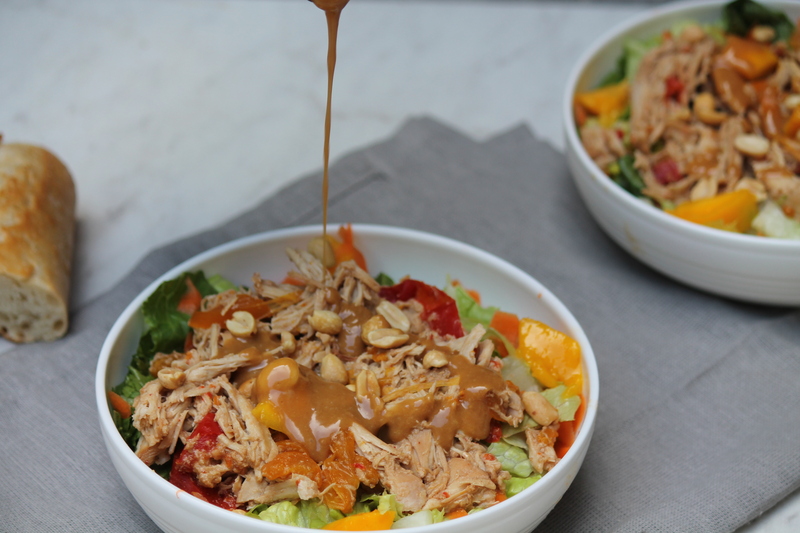 Like I mentioned earlier based on the size of your family you should have enough shredded chicken leftover to have this chicken salad for lunch (or dinner) for several days even after you make the other meal that I will share with you in a minute. 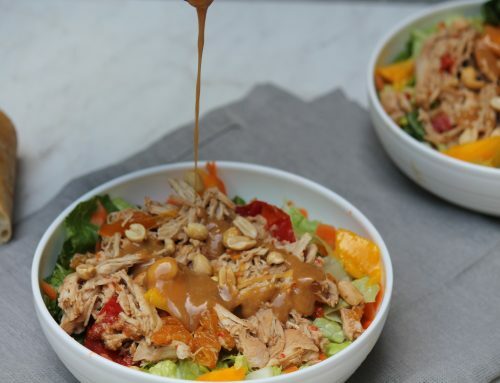 This shredded buffalo chicken salad is perfect served over top a salad, alongside some crackers or made into a sandwich or wrap for a quick and healthy lunch. 1. 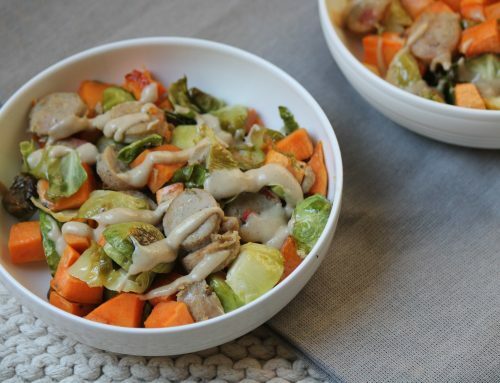 In a medium-sized bowl add the shredded chicken, celery and Greek Yogurt and mix well. Sweet Potato Nachos are the second meal that comes from the beloved crock-pot shredded buffalo chicken. This can easily be served as a main dish, which is how we eat them, but they would also make a great appetizer, especially for game days. 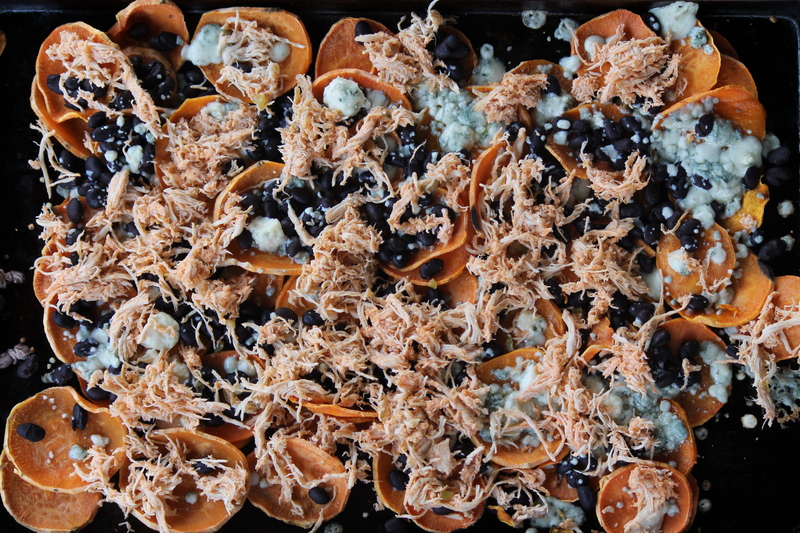 Unlike the typical calorie laden nachos you order at restaurants these sweet potato nachos are nutritious and full of veggies. Instead of chips, roasted sweet potatoes are used in it’s place. I chose to forgo the cheese sauce and just add blue cheese crumbles since a little goes a long way. Not to mention buffalo sauce and blue cheese is pretty much a match made in heaven. We eat sweet potato nachos often in our house but this was the first time adding meat over top and it was most definitely the right thing to do. These nachos are healthy, filling and delicious. 1. Using a mandolin slicer (or knife) cut the sweet potatoes into rounds. Place sweet potatoes on a large baking sheet, spreading them out (You may need two pans for this). Toss with olive oil and season with salt and pepper. Bake on 400 degrees for 20 minutes. Flip the rounds over and bake an additional 10 minutes or until crisp. 2. Spread cooked sweet potatoes in a single layer on the baking sheet. Top with the shredded chicken, black beans and blue cheese crumbles. 3. Bake 400 degrees 5-7 minutes or till cheese is melted. 4. Top with additional toppings. Serve immediately. This looks so good! 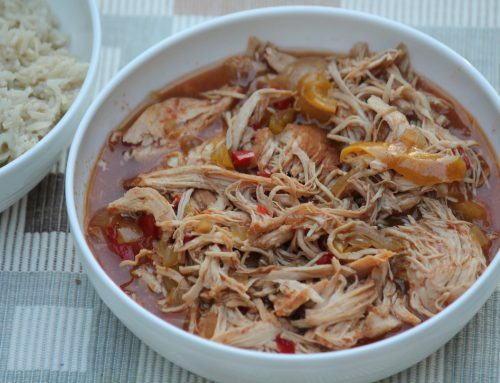 I love a good crockpot recipe, it just makes life easier! WOW I Love making sweet potatoe nachos! But putting this buffalo chicken on top is a game changer. This looks delicious! This looks amazing – I’d take it either way and be in heaven!!! What a fun way to spice up chicken! And I love your suggestions for ways to use it. 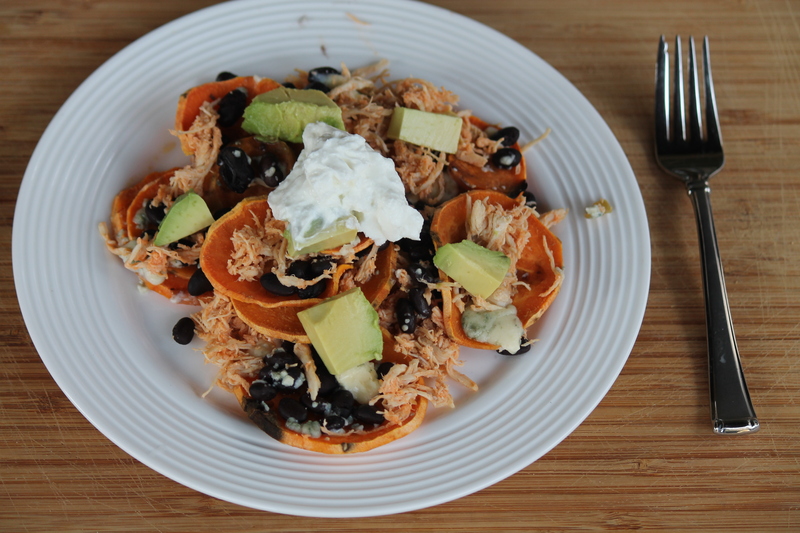 I love everything you’ve done here but those sweet potato nachos…wow, amazing!! I love all of your ideas for shredded Buffalo chicken! These would all be a big hit in my house!! Loving the sweet potato nachos!!! 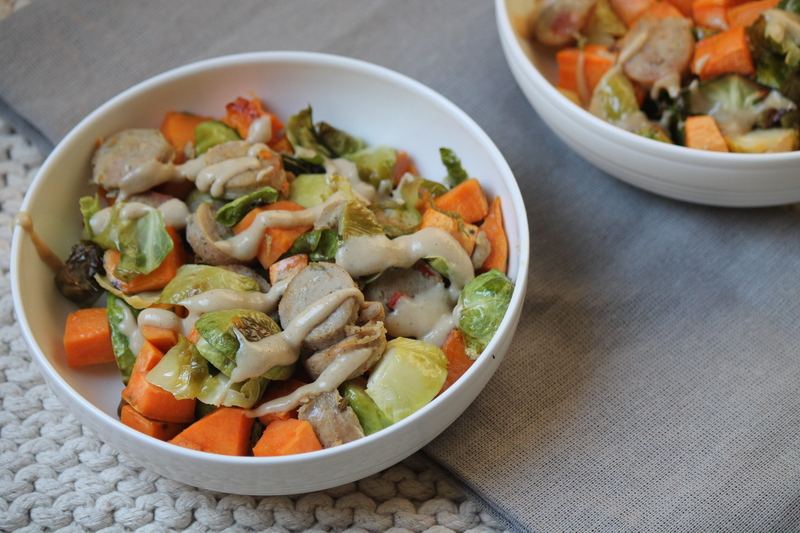 I love sweet potatoes as a base in this recipe! Sounds so good together!